Get competitive quotes on outdoor advertising in Davenport! 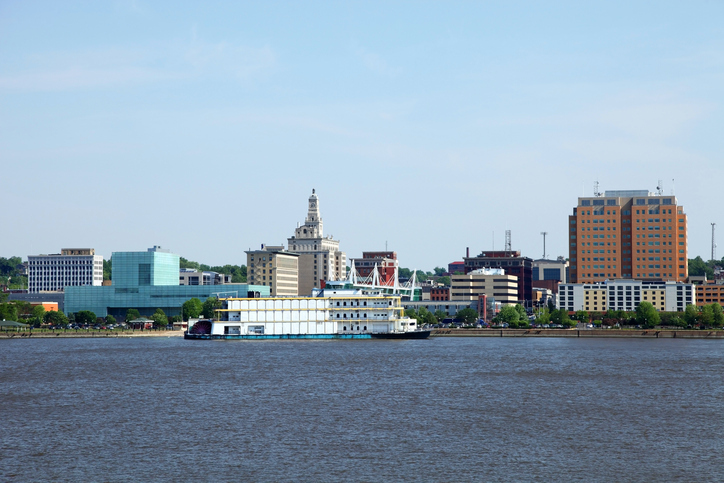 Davenport is located along the Mississippi River and is a hot spot for outdoor advertising. With an amazing array of activities including the Figge Art Museum and Vander Veer Botanical Park, your campaign is sure to be seen by pedestrians and drivers. Target Iowans with a billboard along I-80, I-280 and I-74 to maximize on your campaign. In addition, advertise near high traffic areas including Davenport Skybridge, Putnam Museum, and River Music Experience. Whether you’re looking to target sports fans at Modern Woodmen Park or locals by Centennial Park, BillboardsIn is sure to deliver the best ad options to fit your campaign. Select an ad format below to find out more. You can also begin by checking out BillboardsIn’s comprehensive database of outdoor advertising options.